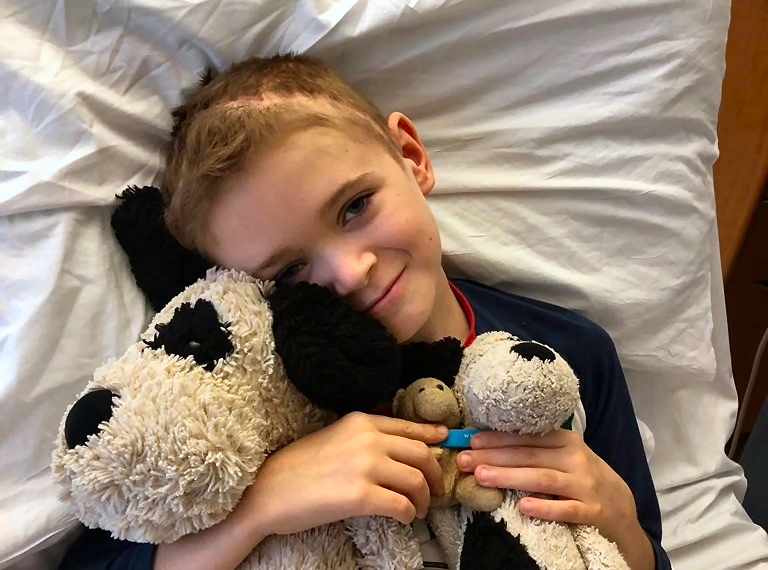 Schools across Shropshire have been participating in fundraising events for the “Mad About Harry” campaign, raising urgently needed funds for life-saving treatment of 10-year-old Harry Banks. Harry has a rare and aggressive form of cancer called Neuroblastoma. His mum and dad, Nina and Russell Banks, who are originally from Shrewsbury, are now desperately fundraising to help Harry take part in a groundbreaking clinical trial in the US or Barcelona, which could be his lifeline, but need to raise £500,000 by mid-March when he has been advised to have the treatment. Some schools have already held fundraising events, including St George’s Junior School (which raised almost £850); Coleham Primary School (which raised £661) and Shrewsbury High School (raising £1,676). Planned for this month are fundraising events at Prestfelde School; Adcote School; St Giles Primary School; St John the Baptist Primary School; Hadnall Primary School; Oak Meadow Primary School; Packwood Haugh School and Condover College. School events include “Wear a Hat for Harry” (where people wear a hat and make a donation); “mufti” days and coffee mornings. Harry’s Aunt, Mandie Mulloy, whose grandchildren attend Coleham Primary School, said: “The engagement from so many local schools to the campaign has been fantastic and we are so grateful for the generous donations made by the communities at the schools involved”. The Mad About Harry fundraising campaign has been backed by a viral social media campaign plus some celebrity and sporting endorsements. Harry has been pictured with ex-England cricket captain Alastair Cook, plus celebrity photographer – Rankin – photographed him with a group of England rugby superstars, including England Captain Dylan Hartley. A veritable “army” of Shropshire fundraisers, many of whom know Harry and his family personally, have been touched by the story and have been galvanised into fundraising action. There has been widespread support from many of the town’s pubs through the “Put One In For Harry” campaign, encouraging customers to donate their loose change to the fundraising pots. Other fundraising events being organised locally include – an all-day festival style fundraiser called “Feel the Love for Harry” at Severn Social in Shrewsbury, with live music and family activities, on 17 February 1pm – 9pm; Shrewsbury High School is generously hosting an evening fundraising event; plus there are a number of coffee mornings, sponsored events and other fundraising activities.